Cyberjamz / Toupee & DeeperSIDE of Cyberjamz Records welcomes new artist/producer DEEPFX to our label. This unique producers is awesome in that he creates everything from deep house to afro and almost everything in between which is hard to find now-a-days.He is not new to the game and has a hot cut coming soon to DeeperSIDE of Cyberjamz Records along side Brian Nance & Manual Luna entitled “Third Wave E.P” Project. As you will hear soon his piece “Change” & the hot 80’s flavor “Move It Huh!” is a perfect demonstration as to the direction DeepFX is taking on the production tip. 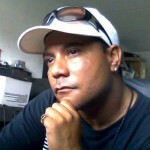 Deep FX, is a Miami & New York native who was always involved with music from very early in his life. As a kid, growing up in a musical environment, as a break dancer, watching his friends perform on the decks and frequenting the club scene. 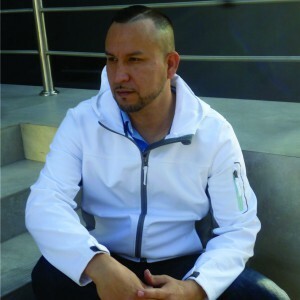 Eventually, focusing his drive into Dee Jaying and Producing house music, as it’s so versatile in combining many styles and rhythms into one. Blending his vision of real house sound, deep, energetic, soulful, without losing it’s roots! Passionate about his craft, he has recently been appearing throughout many record imprints, such as, Simple Things Records, Night Scope Deep Recordings, Gyroscopic Records, Veksler Records, Soul Flava Records, Sweatin’ Records, and Cyberjamz Records.